Sarah McCoy wrote a post for the Huffington Book Blog about “Men of War are Conflicted Characters“. After I read her post, I wanted to leave a comment but couldn’t because that section was closed, so I’m writing it here. You may want to read McCoy’s post. It’s well written and deals with an author’s dilemma when she has to crawl inside the skin of someone most of the world considers a monster, because he fought for Hitler during World War II and was tagged with the term Nazi. I say no. War does not ask us to give up our humanity. It asks us to reveal the horror of our humanity—to let the dark side we spend a lifetime struggling to suppress out of its bloody bag. Inside our skin lives both demons and angels. When an individual fails to keep the lid on his or her demons, we end up with people like Luis Garavito of Colombia who may have murdered more than 400 people. He was a serial killer known as The Beast. These killers, who cannot control the dogs of war, live all over the world. Instead of listing them, you may want to visit this page on Wiki and see for yourself what happens when the lid comes off on its own and stays off. In war, troops are trained to open that door and let the beast out. Then they are expected to stuff it back in the box when we come home. We can’t pretend it isn’t there, because just like night and day, sunrise and sunset, each person has a bright and dark side and it is the dark that we struggle to keep under control. Carl Gustav Jung (1875 – 1961), the founder of analytical psychology, called it the shadow: The shadow is an unconscious complex that is defined as the repressed and suppressed aspects of the conscious self. Some men that wear uniforms might go to war conflicted, but I think to most trained warriors, it’s just a job. 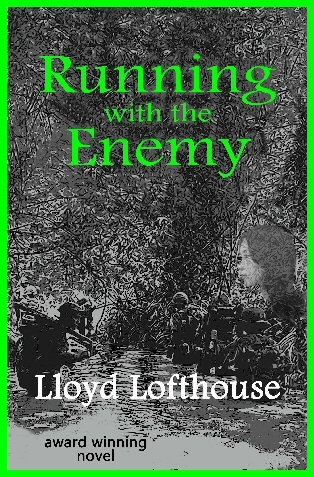 Ethan Card, the main character in my novel, Running with the Enemy, is an example of what I’m talking about. To succeed and survive, he must trust the beast from the dark side of humanity to help him get the job done. It is the only way to win a war. If you disagree, show me a war that was won by fighting with a set of rules based on modern, humanitarian principals that did not exist a few decades ago. I faced my PTSD when I started to write about it. Here’s a Marine that did the same thing but with Ballet. After serving at Fallujah, choreographer Roman Baca channeled his military experience into provocative dance performances. In the Marines, we learned to never leave the wounded or dead behind. I have lived with the symptoms of PTSD for forty-six years. I was fortunate. I was capable of holding down a job. I haven’t forgotten the homeless veteran I met in an alley early one early morning in Pasadena, California. I wrote about it in A Prisoner of War for Life. The key is to learn how to cope. If you have PTSD, you will never get rid of it as if it were a cold or the flu. PTSD stays with you for life. Some veterans are so damaged from combat experience, that they become homeless. The population of the United States is more than 314 million people. The US Armed Forces that protects America’s civilians numbers 1.458 million—less than one-half-of-one-percent of the total US population. In addition, there are about 860 thousand military reservists. In fact, the number of military veterans in the United States in 2012 was 21.8 million—6.94% of the total US population. It doesn’t matter the reason a US citizen joins the military—patriotism or a financial need—and fights in one of America’s foreign wars. The fact that he or she served and put his or her life on the line or risked serious injury in combat, I think that the ninety-three percent of the population that never served and risked life and limb owes those veterans an obligation. That also means supporting homeless veterans with jobs and shelter. PBS Documentary on Homeless Veterans – WORTH WATCHING if you have the time. The Veterans Administration is the only federal agency that provides substantial hand-on assistance directly to Veterans who are homeless or at risk of homelessness. Veteran homelessness is a problem of national importance. According to a count on a January night in 2011, there were 67,495 homeless Veterans. And an estimated 144,842 Veterans spent at least one night in an emergency shelter or transitional housing program in a recent year. Because of this, in 2009, President Obama and U.S. Department of Veterans Affairs Secretary Eric K. Shinseki announced the federal government’s goal to end Veteran homelessness by 2015. An estimated 144,842 Veterans spent at least one night in an emergency shelter or transitional housing program in one recent year. Many other Veterans are considered at risk of homelessness because of poverty, lack of support from family and friends, substance use or mental health issues, and precarious living conditions. In recent months, I have been editing a novel about PTSD and homeless veterans. It isn’t my work. It was written by Alon Shalev, the author of The Accidental Activist and A Gardener’s Tale. His next novel is titled, Unwanted Heroes (to be published soon). It’s a story about healing and/or the failure to heal from PTSD. A love story is part of the mix too.